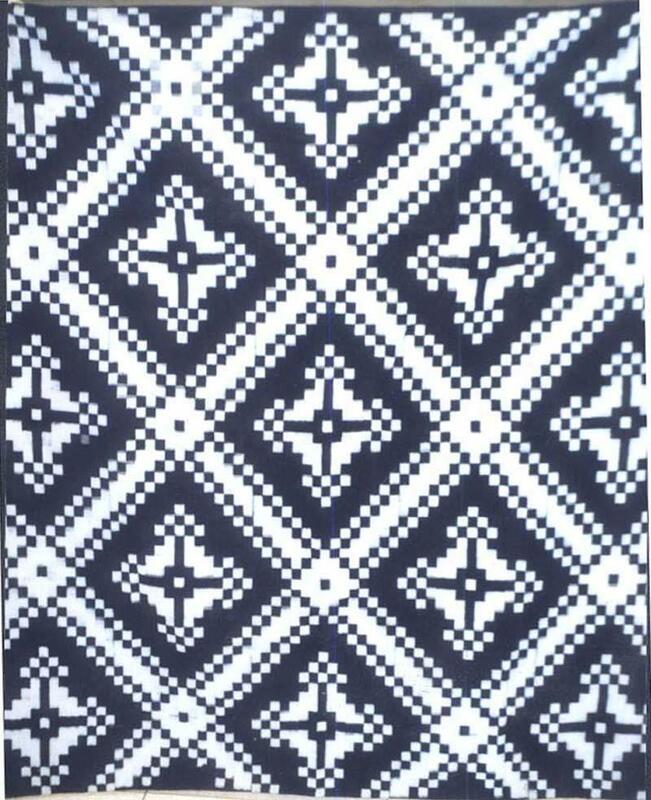 Reverse coloration of white pattern on indigo ground is a compelling graphic that so resembles the American pieced quilt pattern Irish Chain. Remarkable how similar geometric designs occur in textiles across the world. Superb condition and deep rich color.